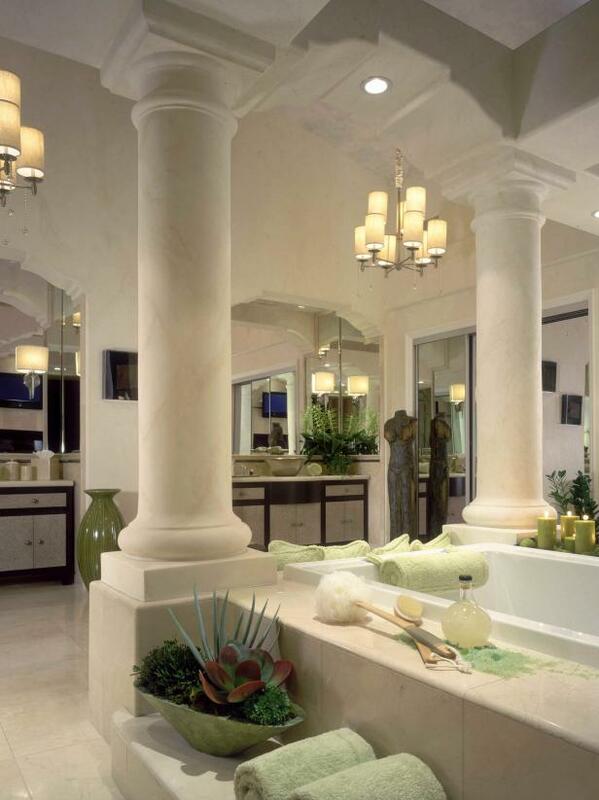 Doric columns frame this regal bath with a modern twist on a Roman tub. Stainless and gold accents offset the classic eggshell white walls. This master bath is centered around a Roman tub with a mosaic surround with detailing, which echoes the mosaic half-dome ceiling overhead. 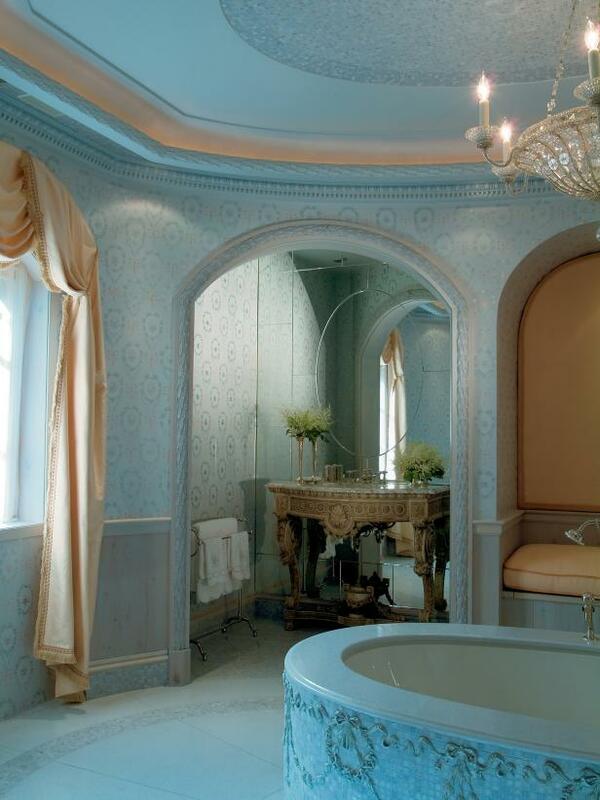 Blue polished plastic walls are hand-stenciled in a French neoclassic design. This luxurious neoclassic bathroom in Santa Ana Heights, Calif., boasts a gigantic Roman tub, a flat screen TV with retractable art, custom chandeliers and shagreen front vanity cabinets with durable Caesarstone counter tops. 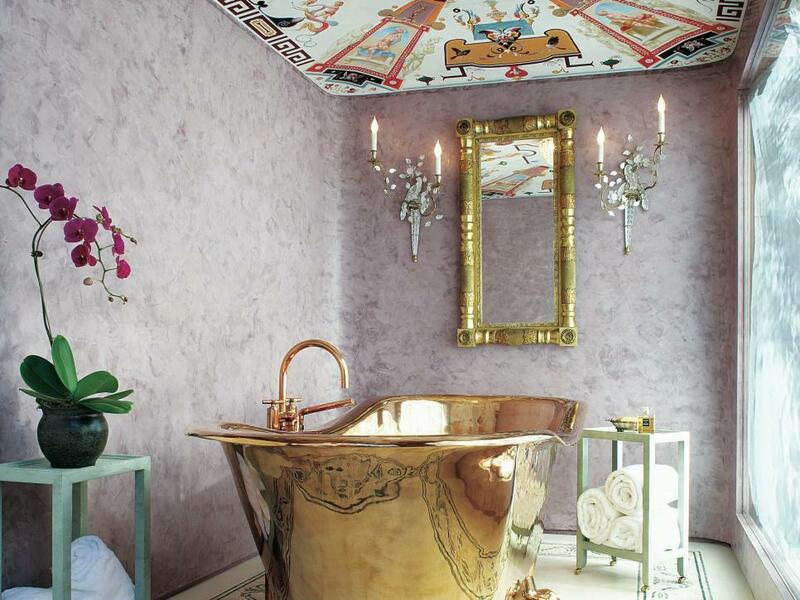 A gold freestanding claw foot tub fills the center of this Grecian bathroom. Venetian plastered purple walls and a hand-painted ceiling that depicts Greek gods overlook a large gold mirror with two candle-bearing wall sconces.